Randomized controlled trial - S.E.F.O. This is a study in which patients are allocated at random (by chance only) to receive one of several clinical interventions. One of these interventions is the standard of comparison or control. The control may be a standard practice, a placebo or no intervention. The importance of having a control group cannot be overstated. 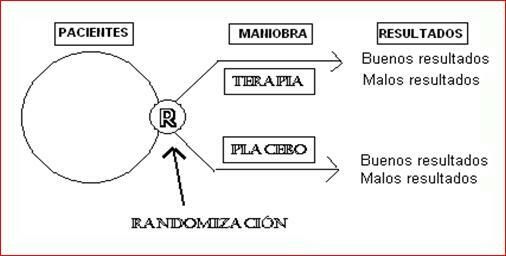 It is a clinical trial which involves at least one treatment test and one control treatment, concurrent entry and recall follow-up of the control groups and study groups, and in which the treatments to be administered are selected at random using, for example, a table of random numbers. 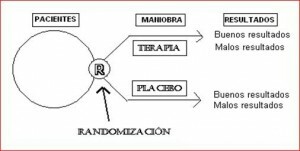 The allocation of the treatment using truly randomly selected numbers is established simply in a CONTROLLED CLINICAL TRIAL. The randomized controlled trial is one of the simplest and most powerful tools in clinical research. Randomized controlled trials are quantitative, comparative, controlled experiments in which researchers study two or more interventions in a series of individuals who receive them in random order. Randomized trials are used to test efficacy while avoiding these factors. Trials may be open, blind or double-blind. The aspects of control are due to three main sources. The first is another member of the research team, who typically reviews the test to try to eliminate any bias. The second source of control is inherent in having a control group, a group which undergoes the same routine, but which does not receive the same treatment or receives no treatment (placebo), or may receive the current standard treatment (if, for example, it would be unethical not to treat their ailment). The third source of control is through reviews by external or governmental regulators, who will examine the trial when it is presented for publication. THIS IS THE TYPE OF STUDY WHICH IS RECOMMENDED FOR USE IN MANUAL THERAPY.